Why are my bare root strawberry plants gaining new growth in the refrigerator? There is no sunlight or dirt in there, so it doesn’t make sense to me how they are able to gain additional growth. Strawberry plants go dormant when temperatures drop into the 20s for several days. Most people’s refrigerators are set around 40 degrees Fahrenheit. As such, they probably think it is spring! I’d recommend planting them as soon as possible. Good luck! I have seen a Youtube video showing a single strawberry plant’s root cut into 10 pieces for propagation. How does this method compare with rooting runners? Clonal propagation works that way, especially for strawberries with larger crowns. The drawback is that it makes the transplants more vulnerable to pathogens. Rooting runners typically produces more robust plants more quickly than crown division. Good luck! Follow the instructions above! Good luck! I have a hydroponic garden, and want to over winter my strawberry plants in refrigeration. Can I put them in plastic bags, moistened, and keep them in a refrigerator, and if so how long can I hold them. Unfortunately, plants stored that way will likely mold and/or rot. The best way is to store them in a dormant state, but climate-controlled to reduce humidity. Good luck! If I’m storing bare root strawberry plants til I can get them in the ground, what temperature range do they need to be kept at to remain dormant? Thank you for your help. If the temperatures stay below freezing at night, they will usually stay dormant. Good luck! If you ship them right away, with the roots wrapped like you mention, they should still have time to be planted immediately and survive. Make sure he mulches well for the winter in Michigan to ensure they survive. Good luck! You should trim the leaves off to about an inch or so above the crown. Don’t trim the roots, however. It sounds like you are doing well with rooting the runners. Good luck! I have been thinking about building a strawberry tower . My main concern is if they will over winter in the tower or if I will need to dig them up in the fall. I live in zone 5a . Since strawberry towers don’t provide as much insulation as being in the actual ground does, they are more prone to suffering cold damage. However, you can wrap them in a large tarp with mulching over the plants to minimize the risk if you don’t want to spend the time transplanting. Just be sure to water them so they don’t die on you! Good luck! I just found out we are moving from NE to TN. I want to take my strawberry plants with me. What’s the best way to do this? Mow the leaves down and force them into hibernation or just dig up the plants and pot them after cutting off all flowers and fruits? 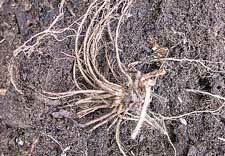 It is best to try to dig the individual plants up with as much of the root system intact and undisturbed as possible, put them in pots, transport them to Tennessee, and then re-plant them as soon as possible. So, cut the flowers and fruit, dig ’em up, take them with you, and try to make time to get them back in the ground soon upon arrival. Good luck! I just received 250 bareroot strawberries but many smell kinda musty and look like they had some growth started and then died off. Are these roots all junk? I got them given to me from a local seller for free so if there no good its no biggie I just don’t wanna take the time to plant if there all dead. If they had green growth and no longer do, they are probably dead. The only way to know for sure, however, is to plant them and see! My guess is that they are goners. Sorry! It is difficult to store bare-root strawberries long-term without specialized storing units that manage both temperature and humidity. With your desired length of storage (5 months), I would recommend leaving them in the ground until just before they are needed. Good luck! You can use the same method to over-winter your plants. Dig them up on the 1st decent day after the 2nd or 3rd hard frost, place in the trays as described above. Place them in a cool, dark location and water them well twice a month. When spring comes, bring them up to a warm, sunny spot and water them well every few days. In a few weeks they will be out of dormancy, well leafed and ready to be re-planted. This way of doing things is especially effective in colder climates, zone 4 or higher. If you are concerned about an unexpected late frost, plant them deep enough that only the leaves and 1″ of stalk is above ground. Getting the root-ball and “baby leafs” below the top layer of soil will protect them should a late frost come. If this happens, the leaves already above ground may be damaged or even die, but the bulk of the plant, and it’s next few sets of leaves that have begun to grow are safely insulated by the 1-1.5″ of soil or mulch. I am building some PVC strawberry towers. 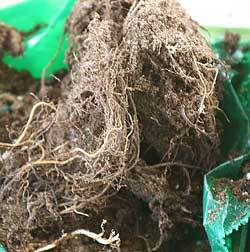 I already have the supplies, mixed the growing medium, and purchased the roots from a reputable local greenhouse. Is it safe to get them planted outside on April 1st? They are sprouting a bit in my cold basement in Michigan. The weather has been warming and the daily high is in the 50s for the 10 day forcast, but there are a few days with a low in the mid-20s. It is usually best to get the plants in the ground as soon as possible. If your temperatures are going to be low enough to give your plants cold injury, you will just need to provide them with some protection at night. Good luck! My first time starting strawberries from bare root. I didn’t realize how crucial it was to get them in the ground quickly when I bought them. It took me about a week and a half to prepare the bed, i.e. as quickly as possible for me. I kept them in the basement, and it may not have been cold enough, since they’re turning green. Plus, it’s still getting into the low 30s here at night. I know there are a number of issues, but do these plants have a chance in heck of surviving if I plant them outside now? Certainly! Strawberries usually do just fine as long as the temperatures don’t drop into the twenties. If they are greening, I’d recommend getting them into the ground as soon as possible. You can order some Reemay or other protective cover to help keep them protected if it is threatening to get too cold where you are. Good luck! We have planted 25 bare root strawberries in a raised bed this spring. They have been out almost 2 weeks and we are not seeing any of them beginning to turn green. Curious how long they long they should take before we start seeing any growth. We live just outside of Austin TX, the weather has been nice since we put them out. They should have started to put out new growth by this point. You may want to give them a few more days of good watering and sunlight, but they are probably dead if you don’t see any new growth by that point. You can probably get a refund from the nursery that sold you the plants if you followed all the instructions and/or they were dead on arrival. Good luck! Just stumbled across your website this morning looking for info on over wintering bare root plants. I like so many have ordered plants for Park Seed. I bought 125–5 each of 5 varieties. I have built a set of raised gutters to plant these in simliar to those shown on the website line. I have 160 feet of raised gutters in 2 80 foot rows about 4 feet off the ground. First, what do you think about the idea, and Second, once the season has run its course, do you think it would be better to remove the entire plant for storage next winter since I can’t adequately keep the plant from freezing “IF” we get days on end below freezing? This year we have not. I’m in New Bern, NC on the east coast of NC. Thanks for a great site I’m sure that I’ll read cover to cover. The length of your rows might pose a problem for overwintering. If they could be broken down into smaller sections, simply moving them into a sheltered location for the winter (garage, shed, etc.) would probably work. The idea of using gutters or gutter-like systems can be a good one. As long as there is enough nutrients for the plants to function well and produce well, the systems usually work well. 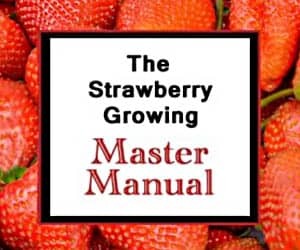 2013 is the solar maximum, so winters may start to gradually get cooler from this year onward, but you live in a good place for growing strawberries. Also, I’m not quite sure how many plants you ordered. You said you ordered 125 plants, but only 5 each of 5 varieties. I’m assuming you meant 25 each of 5 varieties. Instead of transplanting that many by hand for the winter (which you could do if necessary), you might want to look into some sort of insulating material that you could wrap around your gutter systems. Running a drip tape through the middle should allow enough intermittent irrigation to keep them alive during their dormant phase. Regardless, good luck! Yes, you can “hibernate” planter box strawberries. It is a little more tricky if you plan to leave the exposed planters outside. Without the thick insulation of the earth surrounding them, the above-ground planters allow temperatures to drop to levels that may cause cold injury to your plants. I’d recommend bringing them into your garage or other protected area. For other details, see here: Overwintering Strawberries. Good luck! I have 2 hanging pots of strawberry plants. One is a hybird more temperamental and the other from what I can tell is just a regular strawberry. I live in southern Colorado and we can have a moderate to hard winter. I was reading that it’s best to leave them in the soil but not sure if my store room in the carport will be sufficient. It is best to leave them in the soil if at all possible. You should leave them outside until you’ve had several nights of temperatures in the mid-twenties in a row. That will typically induce dormancy in the plants and make it safe to store them. Your plants should be ok if stored in a garage near a house wall. If that isn’t available, an outside store room will suffice, but it is best to wrap the pots in an insulation material (like old newspapers) several layers thick. Then, apply a mulch to the top over the soil so that the plants can breathe but remain protected from the extreme temperatures. See here: Mulching Strawberry Plants. Good luck! I was wondering if you could give me some tips on how to germinate from seeds? Also, I am going to be transporting some everbearing plants. Could you please advise on the best way to do it to ensure they survive the 6 hour trip. For germinating strawberry seeds, see here: Strawberry Seeds. And, for transplanting help, see here: Transplanting Strawberries. Good luck! We planted several June bearing strawberry plants, but the majority of them didn’t produce leaves. (The tops are still brown and stick-like.) The Everbearing plants are beautiful. Should we just till the dead plants under or could they produce next year. I’m sorry to hear about your plants. If you planted them right away when you received them (I’m assuming you ordered them from a mail order company), they likely were dead on arrival. If so, I would recommend contacting the supplier from whom you bought them. Most will graciously provide you with replacement plants if they died through no fault of your own. However, the plants you have now are likely toast. They won’t produce next year either and can be tilled under. Good luck! i have some strawberry roots that have been sitting in water. is that bad? i’m not sure if they are dead or not. how long does it take to start seeing life from them? It is best not to submerge your strawberry plants in water for an extended period of time. See the Growing Strawberries reference page for more details. The sooner you can get them in the ground, the better. If the soil is too water-logged to plant right away, the best you can do is keep the roots moist with dampened paper towels or in moist sand and get them in the ground as soon as you can. Good luck! I was wondering if it’s too late for me to move runners if I am careful in getting the dirt around the root. We were remodeling last year and they have spread everywhere and the weeds have taken over. I would like to move them. Can I? The area they are in is super wet and some are under water as well but the hills I originally planted them on are fine. Water lies in between. (just a side note) So I want to put them back on the top of the hills. You can move the runner plants. I’d recommend seeing the Transplanting Strawberries page for more information. I just found your very useful site. I had ordered 25 bare root strawberry plants and it was too late to plant so I have tried growing them in my house and it’s not working out so well. First I had them in an indoor greenhouse (meaning 4 tier shelves covered in greenhouse plastic located in my home). I put them in a potting soil from Bar Harbor Maine. After a few weeks there was some signs of life but also mold so I took them out of the plastic. A month later the potting soil never dried out (and I never watered) so I repotted them w/half peat and half of the potting mix and put them under fluorescent lights. They’re not happy. There are no signs of life. I’m keeping the roots damp but not too wet. I’m thinking I should put plastic back on top of them to see if I can get growth again and watch for mold (now that I have them in a medium that doesn’t remain wet for weeks at a time w/o watering). Do you think I should just quit trying and stop giving them light and repot again- this time taking out the potting soil and just using peat as you recommend above? As discussed on the Strawberry Plant page, there are a lot of pathogens that can decimate a strawberry planting. From your description, my guess is that the strawberry plants you purchased are dead. Likely, they have either succumbed to root rot or crown rot from being water-logged, a mold/fungus, trauma from being moved and re-potted, or a combination of those factors. Also, fluorescent lights have to be positioned correctly to provide enough photons of light to stimulate chloroplasts and plant growth. It may be that adjusting your light source might help, but my opinion is that the plants are either dead or too compromised to produce well. I’d recommend starting over with new plants this spring.